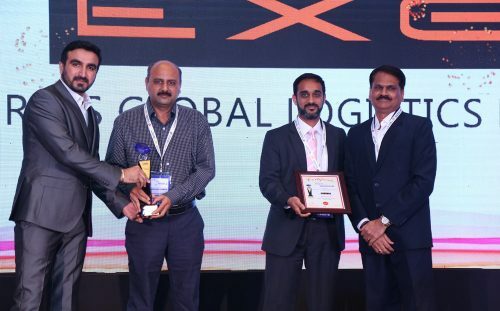 Express Global Logistics (EXG), member to the Worldwide Project Consortium (WWPC) in India was named Freight Forwarder of the Year – Project Cargo. Gujarat Junction Awards, 2017, organized by EXIM India are very coveted awards in the logistics industry. EXG was felicitated with the award for Freight Forwarder of the Year – Project Cargo. The ceremony was held on 17th March 2018 at Gandhidham, India. EXG is proud of this achievement for the 2nd time. EXG has made significant contribution to the project logistics industry by going beyond the standard mandates which is conducive for the growth of the sector. EXG is a market leading Projects and Engineering Solutions company established in 1946 with headquarters in Mumbai, India. It is an asset based company, having pan India presence backed by its own fleet of 44 Goldhofer hydraulic axles, 65 cranes up to 450 tons, and warehouses.